Yatesville was laid out July 16, 1857 by Joseph Hayes and J.R. Bennett. The village failed to achieve any commercial importance. 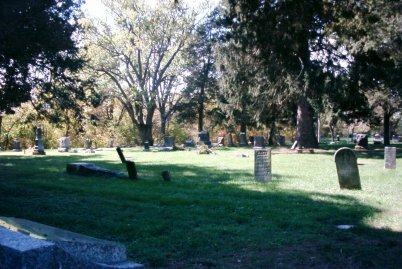 Yatesville Cemetery, about one mile northwest of Yatesville, has become one of the major burying grounds in the area. 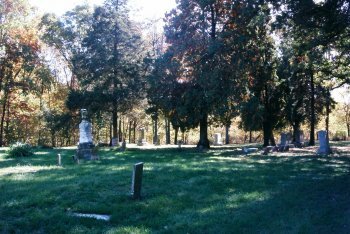 On May 19, 1850, when James B. Leighton sold the 10 acre site of what is now Yatesville Cemetery to Isaac and George Epler, no mention was made in the deed regarding the burials already on the site. The Eplers paid $12.50 for the land and any structures thereon. "Deed Record Book 17", page 453, dated Feb. 3, 1875, records the sale of the cemetery site for the sum of $1.00, the 10 acres to be used for a burial ground. The land was sold by Isaac Epler, Margaret E. Epler, Eliza J. Epler, George H. Epler, John Galt, Margaret Galt, Adeline Epler, Eliza J. Epler, Louis C. Epler, William Epler, Emma Epler, Abram Epler and M.V. Epler, of the county of Sangamon, to Isaac L. Jordon, Francis Carney and C.W. Parrott, trustees of the cemetery. On the same page is a document dated May 26, 1875 at Bedford, Taylor County, Iowa, showing that Abram Epler and M.V. Epler appeared before a notary public and acknowledged that they voluntarily signed the deed. Also on the same page, dated May 24, 1875, is a copy of a document signed in Sangamon County, Illinois, showing that the sellers of the land appeared before a notary public and acknowledged that the sale of the land was voluntary. The deed was recorded in Morgan County, Illinois on August 9, 1875. In "Deed Record Book 43", page 175, dated Oct. 7, 1887, Isaac L. Jordan, Cyrus W. Parrott and Francis Carney, for $1.00, sold the land by quit claim deed to the Yatesville Cemetery Association. The deed was recorded on October 15, 1887. The cemetery board has maintained Yatesville Cemetery in a very commendable manner. Not all of the 10 acres is suitable for burial purposes. 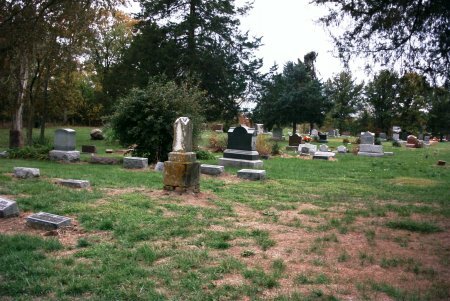 The cemetery is on the west side of Little Indian Creek and adjacent to and south of the Literberry-Prentice road. Yatesville Cemetery is 7 1/2 miles east of Literberry and 2 miles west of Prentice in extreme northeastern Morgan County. 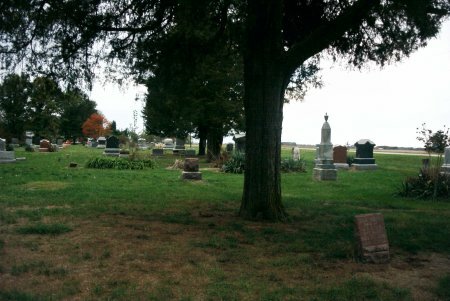 Legal description of the cemetery is 10 acres off the north end of the east half of the northwest quarter of Section 12 in Township 16 N Range 9 W of the Third Principal Meridian. 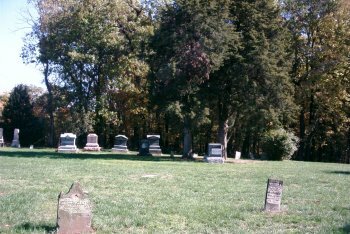 The tombstones in Yatesville Cemetery were originally read and transcribed in 1978 by Mr. and Mrs. Robert W. Dalton (Mary Kathryn), her mother Mrs. Emma Mary Grady, and Mrs. Grady's cousin, Mrs. Frances Stapleton. 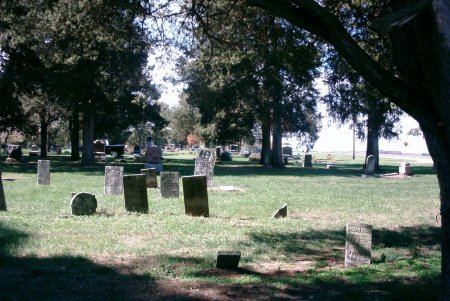 Earl Deatherage and I re-read this cemetery during October 2005 and took photographs of all the stones we were able to locate. Additional burials (for which we found no stones) have been added from death certificates and/or obituaries. There are other entries which appeared on the original listing for which we found no stones - those have been marked as (No stone found). All Rights Reserved ©Copyright 2000-2008 All material contained on these pages are furnished for the free use of those engaged in researching their family origins. Any commercial use, without the consent of the host/author of these pages is prohibited. All persons contributing material for posting on these pages does so in recognition of their free, non-commercial distribution, and further, is responsible to assure that no copyright is violated by their submission.